Holistic personal development coaching to help you realise exciting new possibilities in every aspect of your life. Achieve true balance and learn how it feels to exist at your most confident, most engaged and most fulfilled. 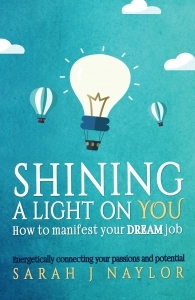 Sarah J Naylor’s insightful and practical guide to helping you find your purpose and manifesting your DREAM job.